'A touch of lace' is one of the themes of my wedding decor, since I've had it on my mind lately, I keep seeing lovely lacey details everywhere I go. 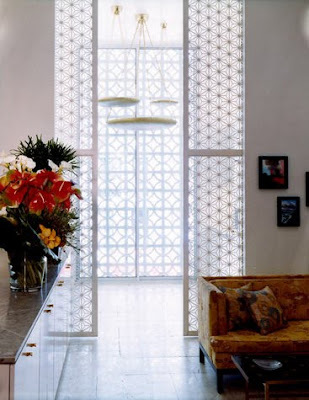 I love the architectural detail that lattice brings to a space - just like a little lace trim for your walls. 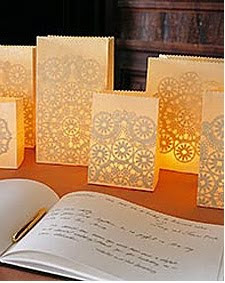 the Martha Stewart luminarias have been on my love list forever. I still need to try making them! MeOhMy - definitely try - I am planning on using them outdoors for my reception, I'd love to see how yours turn out as well! Such lovely lace & lattice work. I'm desperate for that first dress. It's end-of-summer perfection! 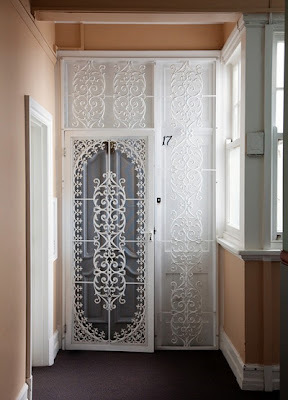 I love how the lace screens have a dainty yet glamorous effect. would enjoy using them in an interior! oh so lovely! I love that white dress! hope you have a wonderful weekend! I normally don't dig lace, but these posts remind me just how beautiful and elegant lace is!! Gorgeous! !